So here’s your homework for the weekend: Visit her website and read her blog, buy her book, and then, by all means, make this cake, whip the cream and invite some friends over. Not too many–just a couple friends. Preheat the oven to 375 degrees, and butter an 8-inch round cake pan. Cut a piece of parchment paper to fit the bottom of the pan and butter that too. 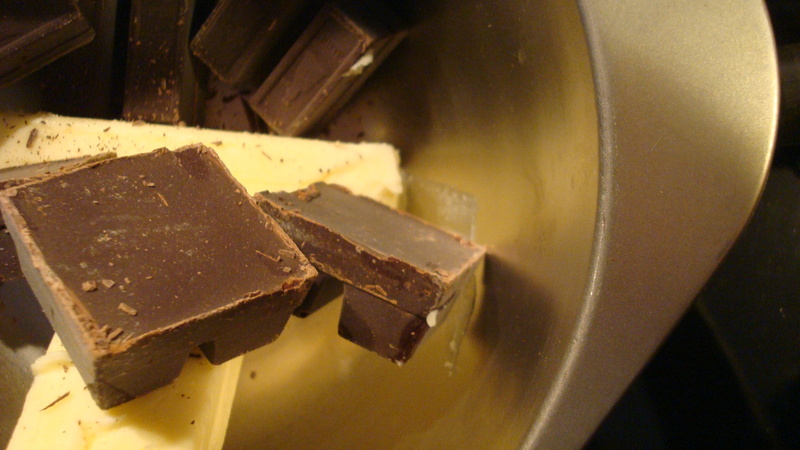 Chop the chocolate and melt it gently with the butter in a double boiler. Add the eggs one at a time, stirring well after each addition, and then add the flour and stir well. 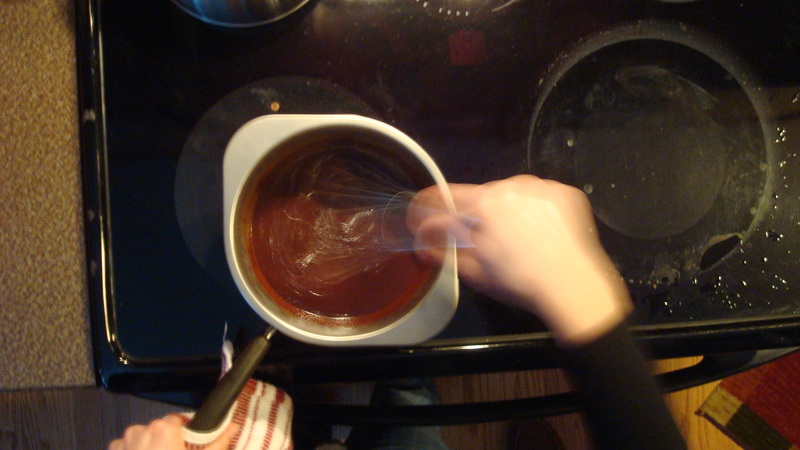 The batter should be smooth, dark, and silky. Pour the batter into the buttered cake pan and bake for 25-30 minutes, or until the top is crackled, the edges are puffed and the center of the cake looks set. It should ‘jiggle’ only slightly. You can also insert a toothpick and when the toothpick comes out dry, it’s done. Let the cake cool in its pan on a rack for 15 minutes. 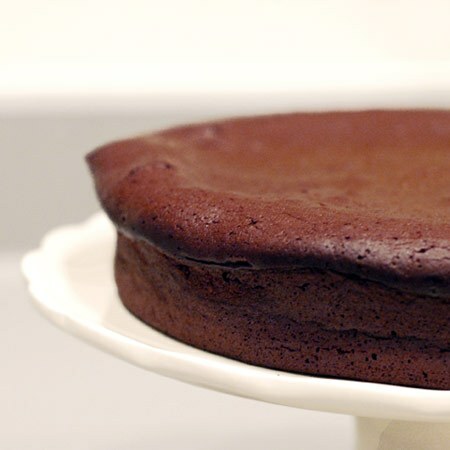 Molly Wizenberg suggests that to remove the cake from the pan you can flip the cake onto a serving plate to finish cooling. The cake is very delicate so try this: Place a sheet of aluminum foil over the cake pan and place a large, flat plate or sheet plate (not the serving plate) on top of the foil, facing down. Hold cake pan and plate firmly together and quickly and carefully flip them. Remove cake pan to reveal cake which is now upside-down. Remove parchment paper. Gently place the serving plate on top of the cake. Wedge your index fingers between the plates to keep from squishing the cake, flip them so the cake is now right side up. Remove foil.